Over the past 20 years, Hotel Alexandra in Copenhagen has carefully sourced a large collection of world-famous Danish mid-century vintage furniture, and decorated its 61 rooms with them. Combined with textiles, wallpapers and other period gems, we take you back in time to experience living like the design-loving Danes did in the 50s and 60s. As soon as you step into the Hotel Alexandra in Copenhagen, you enter a magical time bubble of exquisite Danish design and calm. In the evening you can relax in the lobby, choose a favourite vinyl record from our selection, or delve into some design books from the library, while we serve you a complimentary glass of wine – all the while being surrounded by the finest Danish designer furniture. Our greatest passion is to make our guests feel at home and create a memorable experience. If you are not a Danish Design connoisseur, do not worry, you will be welcomed with the latest edition of the newspaper, Alexandra Chronicles. 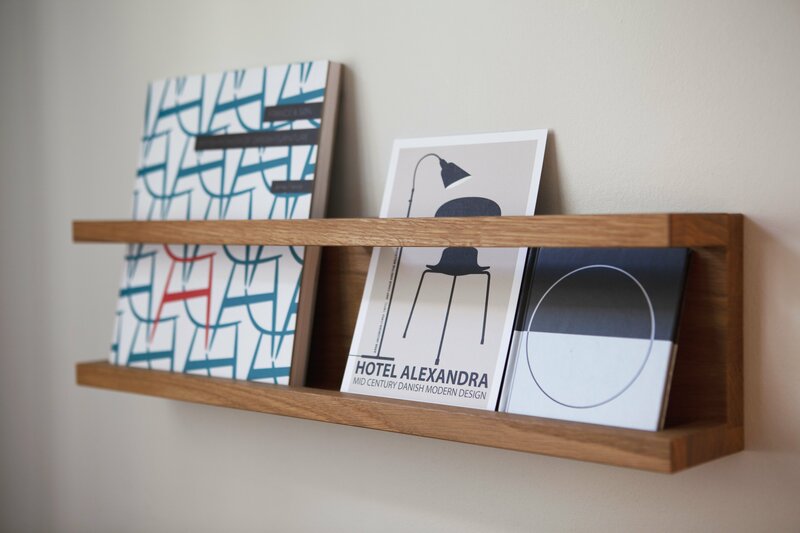 Here you can read about Danish modern and Hotel Alexandra’s interpretation of the concept. You will find us just around the corner of the City Hall Square, the Latin Quarter, the main shopping area, Strøget, and the Tivoli Gardens. Near by you will find public transport both metro, train and busses to take you anywhere in and around Copenhagen. Looking to book 6 rooms or more? Contact us at groups@hotel-alexandra.dk and we will be happy send you an offer. What do our guests think about us? Check in at 14:00. Check-out time is at 12:00 noon. Please ask at the front desk for late check-out charge, if you would like to check-out later. Hotel Alexandra is located in the heart of Copenhagen, on the doorstep of the City Hall square, main shopping street Strøget, cinemas, museums, galleries, restaurants and much more, all within walking distance. The breakfast is served in the neighbouring restaurant accessible from the lobby. Enjoy acces to free Wi-Fi anywhere in the hotel and easily arrange your bookings for anything related to your trip while staying at the hotel. Your home bar away from home – Our honesty bar in the lobby is like having a drink at a friend’s place – Help yourself to the classic brands of the 60s or enjoy our own in-house cocktails. Here you will find museums, restaurants, night clubs, shops, flea markets and other places where we love to go, and which we believe makes Copenhagen so special. All rooms have their own safety box for your valuable belongings, and we also have a safe-room for your luggage, if you need a place to store them before you check in or out. Biking around Copenhagen is one of the best ways to see and discover this wonderful city, and is a large part of Danish culture. Here at the Hotel Alexandra we have many bikes for rent, so that you can experience Copenhagen just like the Copenhageners do! Major foreign currencies can be exchanged at the front desk. All outlets provide 220 Volts. For adaptors or transformers, please contact the front desk.